Last episode you unsubscribed from negativity, now it's time to subscribe to positivity. Sharing so many examples of negative thoughts arriving through out the day. The power of reconnecting to self, creating shifters and getting help from outside sources like a mentor or coach. To gain access to the prizes offered (leave and review and enter to win a prize) and have access to books, recordings and so many more gifts go to www.draligriffith.com. Have you ever noticed that when you are surrounded by negativity, it makes you negative? In this episode, I do a dive deep in three spaces in my life that I had to completely unsubscribe and log off from. I share part of the framework that I’ve used to strengthen my words, the things I watched and my immediate environment. It's now a must that I am aware of the negativity around me and powerfully choose whether to stay or UNSUBSCRIBE! I now use this as my foundation to enroll other women into shifting into their power by choosing what is best and protecting the safe space created. This episode is a must listen for any woman that wants to powerfully create more peace, purpose and results in her life. This is not a one way street... tell me how you feel and definitely go to www.draligriffith.com to get your free gifts to activate your unique gifts to achieve ultimate results. Here we go, yet another unexpected challenge just showed up, what do you do? 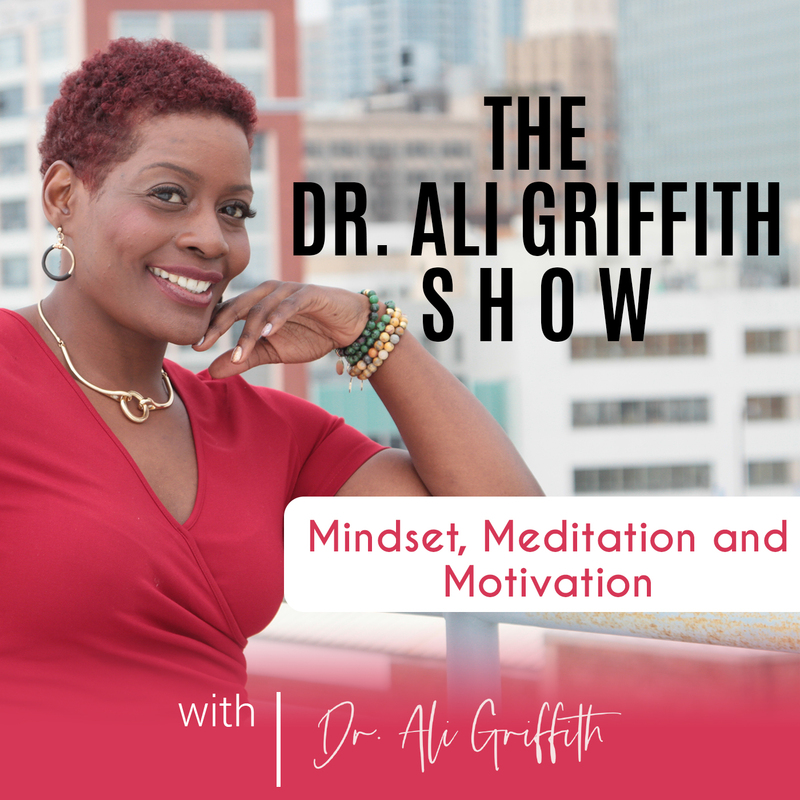 In this episode of The Dr. Ali Griffith Show, find out how to navigate through unexpected challenges with grace, ease and gratitude. In Episode 3 Motivation Through Unexpected Challenges, you will discover that YOU DO HAVE THE POWER to get through ANYTHING! Learn more about how I shift through the unexpected and how you can use the same tools to navigate through life's curveballs back to SUCCESS. Remember to SUBSCRIBE, REVIEW AND SHARE. If you are looking for a POWERFUL way to SHIFT INTO A NEW DAY... then this podcast will get you UP and ready to WIN. IN Episode 2 Morning Mindset Moves, you will discover the impact of creating a positive morning mindset to ignite your day into success. Learn more about how I use the power of meditation to shift into a new day. GET excited about injecting visualizations into your morning routines, daily. Hear more about my special secret sauce 2 words 2 moves daily routine that is in full alignment with gratitude. You may think it’s hard to make BOLD moves. To go after your dreams when faced with every day life’s unexpected challenges. Dr. Ali did it! She’s still doing it and she wants to help you do it too! Every Friday, join Dr. Ali Griffith, Serial Entrepreneur, Audiologist, Speech Language Pathologist, Ignite Coach and mom to Zachary, who is on the autism spectrum. Join her as she and her guests share how to eliminate toxic negative thinking to make a BOLD shift to positive energy power while dealing with the demands of family, friends and the world. Even if you are faced with unexpected challenges every day. Even if you have difficulty finding your calm in the midst of unexpected storms. Dr. Ali wants to help you shift your internal dialogue and push past fear to, “YES I WILL”! Positive parenting, special needs, autism and entrepreneurial guidance is on its way! True life story... PRESS RESET,OWN up to your errors and KEEP it MOVING!